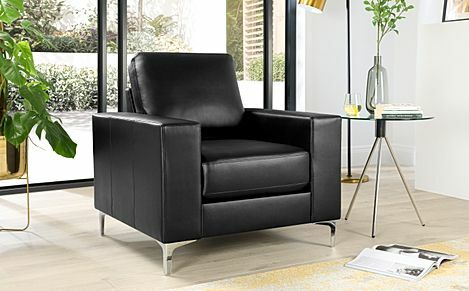 A leather armchair matches both modern and traditional interior design, beautifully complementing your existing furniture and fitting neatly into the available space. 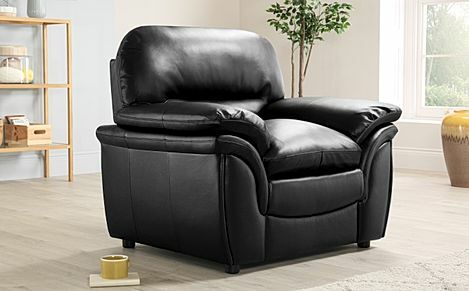 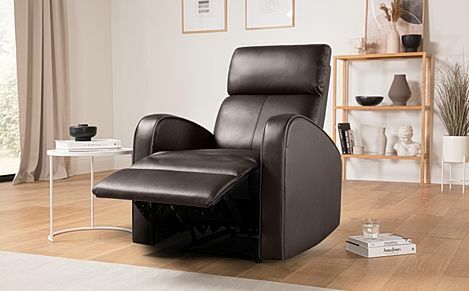 Comfortable and luxurious, our leather armchairs are all set to be your new favourite to relax in. 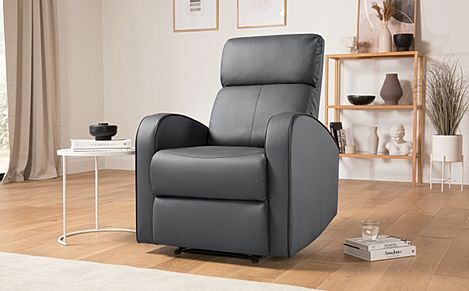 We have a tempting array of colours to choose from, including classic black and brown, as well as sophisticated grey and ivory, and with our fast and free shipping to most of the UK, getting your new armchair delivered right to your doorstep is quick and easy. 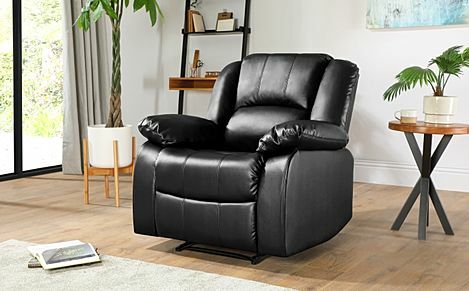 A leather armchair makes for a fine match (or contrast, depending on what you're going for) with one of our elegant leather sofas. 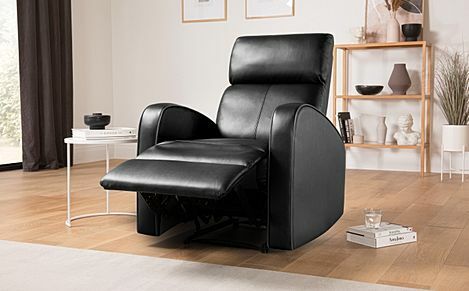 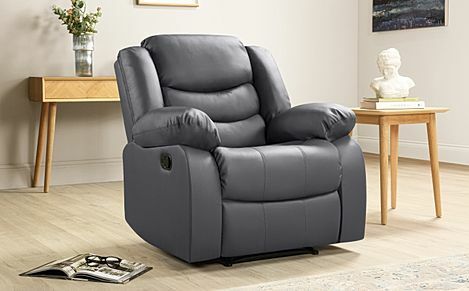 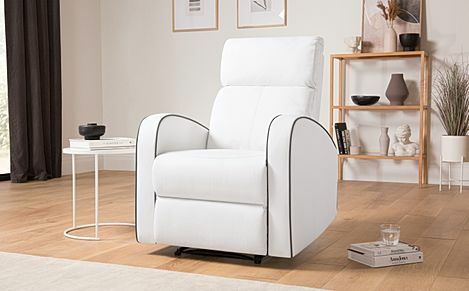 For even more relaxation, enjoy the cosiness of a recliner armchair. But above all, our entire leather armchair range is supremely comfortable, without ever compromising on style. 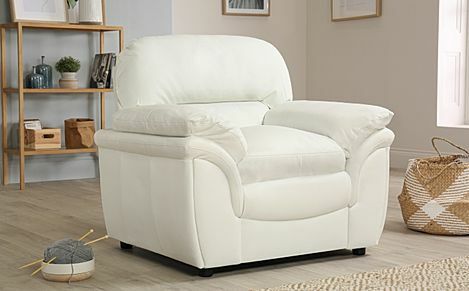 Our leather upholstery is luxuriously soft to the touch, yet hardwearing and easy to clean, and you can pick from soft, medium, and medium firm seating - all are S-sprung for support, with fibre-filled back cushions that retain their shape. 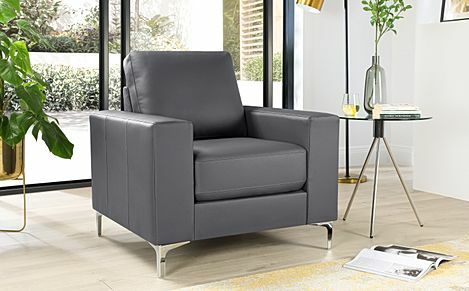 Our armchairs are also built on sustainable hardwood frames to last through years of use.